Every morning when I drive over the bridge near Quamby Place heading to Hastings I see a pelican on the top of the street light. Everytime. I am sure it’s not the same pelican but I like to think it is. I am grateful to this pelican for always making me smile. I know it isn’t an uncommon sight in Noosa but it is one that will never fail to delight me. I am also grateful to the person who took this shot, because mine was crap. 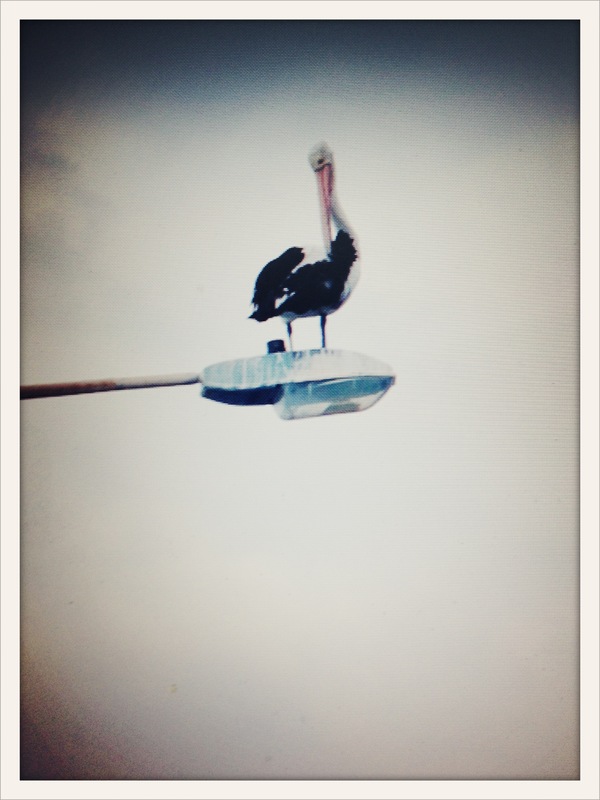 This entry was posted in grateful posts 365 and tagged hastings street, noosa, pelicans, smile by lianne cawood. Bookmark the permalink. Another fabulous pic! I’d like that on my wall as art. Susie Pitts Me too, I missed him for a while a few months ago. I think when the inland lakes fill up the pelicans all head there, it must be an amazing sight.